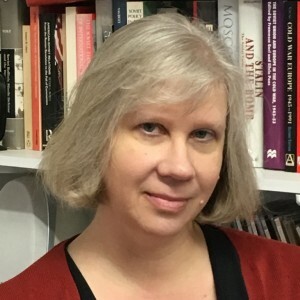 Jennifer Mathers researches, writes and teaches in two broad areas: Russian security and politics, and gender and conflict. My work on Russia has tended to focus on issues of security, the military and defence policy. I have written on Soviet and Russian nuclear weapons, strategic thought, the conflict in Chechnya, military reform, women soldiers and civil-military relations. My interests in this area lie primarily in exploring the relationship between security, defence, politics and society, although I have also written on the Russian election protests of 2011-12.My research on Russia's women soldiers prompted my interest in women soldiers more broadly. I have written about women and war and women and state militaries and spent three years as the lead editor for Minerva: Journal of Women and War. I was a contributing editor to a collection of letters written by a member of the US Women's Army Corps and worked with the family to choose and edit the letters and to write historical context-setting pieces for them.I am currently working on several interlinked projects including a volume on heroism and global politics, which I am co-editing with Veronica Kitchen at Waterloo University. The book explores heroism as a social construction that is utilised by political leaders, movements and governments. We examine the ways that many disciplines approach ideas of heroes and heroism and pay special attention to the role that gender plays. My own chapter in the book, "Medals and American Heroic Military Masculinity after 9/11", provides a close reading of the citations of the three most prestigious awarded by the US military in the post-9/11 wars and consideration of what the awarding of these medals can tell us about changes in US military masculinity.I am also applying the theme of gender and heroism to the case of perhaps the most famous soldier and prisoner of war of the current conflict in Ukraine: Nadiya Savchenko.My interest in the Ukraine crisis is further developed in an article under preparation about the gendered economic insecurities of that crisis, which considers the impact on households and women's labour of the cross-cutting pressures of conditions set by international financial institutions and the ongoing war in the Donbas.I am also working on a book manuscript that takes a feminist security studies approach to the Ukraine crisis, examining the various ways that the agency of women, both individually and collectively, are shaping and influencing events, and exploring the insights that a sensitivity to gendered power relations can bring to our understanding of the continuing battles over politics and security in Ukraine. Article provides a detailed examination of speeches by Vladimir Putin and Dmitri Medvedev to shed light on the subtle shifts in presidential discourse around Russia's nuclear weapons. Book explores the place of ballistic missile defence in Soviet and Russian politics, strategic thought and diplomacy. Sets out the role played by the armed forces in Russian politics in the period since the collapse of the USSR.